The Tesla crash may just be getting started. At least that’s what JPMorgan Chase thinks. The Wall Street firm dramatically slashed its price target on Elon Musk’s car company on Monday, causing Tesla shares to briefly tumble. 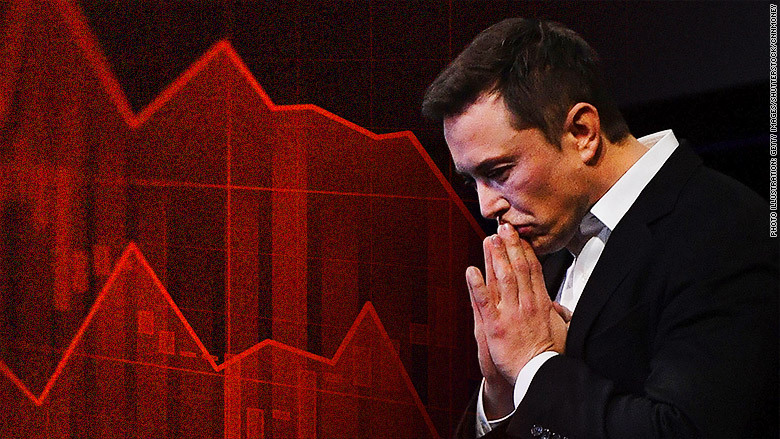 In a critical research report, JPMorgan analyst Ryan Brinkman wrote that it’s “premature” to value Tesla based on a go-private deal that may or may not ever happen. By valuing Tesla on “fundamentals alone,” the stock should sink to $ 195 by December, Brinkman wrote. That’s 35% below current levels. It’s a stunning reversal. JPMorgan set its previous price target of $ 308 on August 8 based on Musk’s optimism about a go-private deal. JPMorgan noted that Musk’s own statements create doubt about how close Tesla is to reaching a go-private deal financed by Saudi Arabia’s sovereign wealth fund. In a blog post last week, Musk wrote that “it was just a matter of getting the process moving” with the Saudis. Those comments suggest that while a deal is “clearly possible,” the process is “much less developed than we had earlier presumed,” JPMorgan wrote. Musk’s tweet set in motion a strange series of events for Tesla. The stock spiked as high as $ 387.46 — and then plunged. 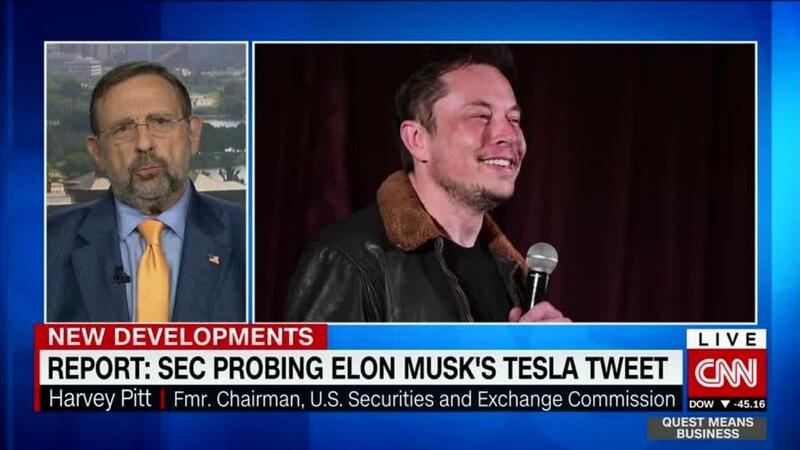 The SEC reportedly launched an investigation into Musk’s statements. And Musk gave a tearful interview to The New York Times describing 120-hour work weeks and his use of Ambien to sleep. As much as a quarter of Tesla’s market value has vanished since Musk’s initial tweet about going private. Investors are voicing skepticism about the electric car maker’s ability to make good on Musk’s proposal — but they’re also worried about Musk in general. “Investors are likely most concerned about Musk’s overall mindset and burn out in addition to the use of Ambien and possibly other drugs,” analyst Gene Munster wrote to clients on Friday. Even Arianna Huffington penned an open letter urging the Tesla CEO to slow down. Musk responded — in a 2:30 a.m. PT tweet — by saying slowing down is not an option. “Ford & Tesla are the only 2 American car companies to avoid bankruptcy. I just got home from the factory,” Musk tweeted. Tesla has repeatedly proved its doubters wrong. Since going public in 2010, Tesla has revolutionized the auto industry and accelerated the adoption of electric cars. While the company has struggled to turn a profit, its share price has skyrocketed. Now valued at $ 52 billion, Tesla is worth more than either Ford (F) or General Motors (GM). But Tesla’s goal of rapidly building affordable cars for mass markets has proven difficult. The company has been forced to raise money and take on vast amounts of debt while attempting to meet aggressive goals. Tesla’s expansion into high-volume segments “seems fraught with greater risk,” JPMorgan wrote.